I attended a lecture on koi development last week delivered by Jos Aben and hosted by Japanese Koi Company in Henlow. Jos farms koi in Poland (“Yoshikigoi”). 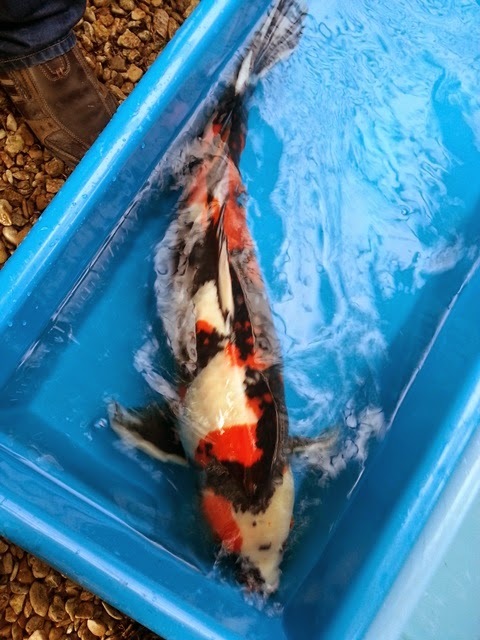 His talk on koi development lasted several hours, and I found it particularly interesting as many of his examples showed the development of koi that are relevant to my own breeding setup, for example, 10cm kohaku and showa and how they develop into adult koi. I picked up a few tips that will be helpful for my own selections this summer and the talk is well worth attending if you get a chance. Fry ponds are still going through the green stage – the dense carpet of algae covering the ponds has dissipated, and just waiting for the rotifer population to grow. In the tunnel; there have been some fish movements. 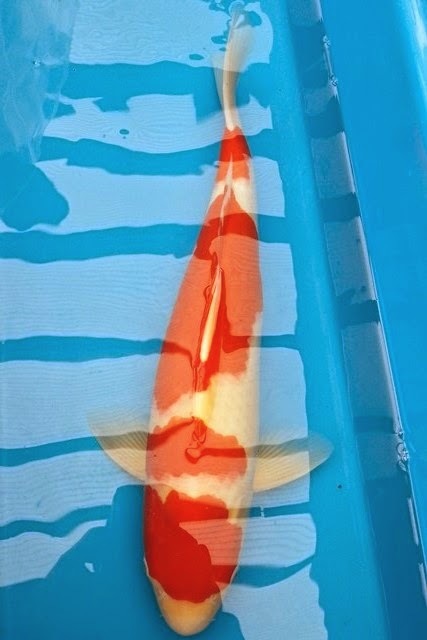 Picked up two new males from Yume Koi, a matsue kohaku and takeda showa; terrible pictures, but you get the idea. Both very high quality, and excellent size and shape for their age too. I also, moved the males from the QT over to the males tank. With the ponds outside taking a while to cycle, I’m thinking about kicking off my indoor fry rearing trial, where I can control water temperatures more easily. 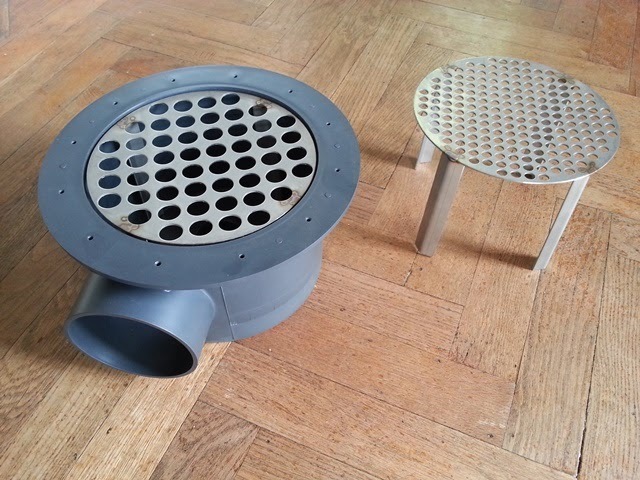 I’ve been looking for a better solution for a bottom drain cover for a tank that houses 1 inch fry. Because they are so small, a traditional dome cover isn’t effective . Last year, I put a stainless steel grid over the drain sump which worked well for a while, but having a small enough grid size to stop the fish going down the drain meant is also blocked too easily. So I ended up with regular vacuuming duties to clear it which was a pain, and when it was blocked, water flow was impeded which led to poor water quality. I think this was one of the root causes behind the bad costia outbreak that devastated my fry keepers.